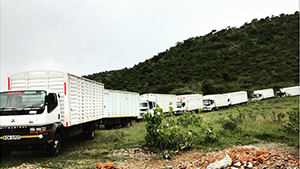 With Longship’s intricate understanding and hands-on experience, every aspect of the logistics process is managed, offering a complete ‘door-to-door’ service for the client. Since 2001, Longship Trading manages high value, time sensitive projects throughout East Africa. Longship minimizes the complexity, costs, frustrations & missed deadlines of cross-border delivery & trade – allowing our clients to focus on the business at hand. We guarantee our client that both the EXPORT and IMPORT component of the logistics chain is completely controlled and managed by Longship Trading. Managing all ‘cross-border freight, communications, costs, document flow, governmental compliancy to ensure project delivery. Selecting & booking cargo route most cost effective and time efficient to meet client’s time line. ANYWHERE in the WORLD to East Africa. 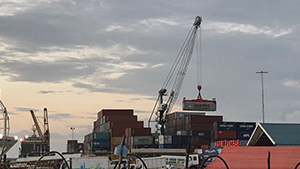 Navigating poor infrastructure sub-standard airstrips, roads; Poor weather conditions; Port congestion; No ‘commercial’ borders; Language barriers; Complex customs systems; Complex regulatory controls & piracy – all substantial barriers to trade. Longship ensures the client’s cargo, originating from all over the world is delivered to site. Lara Asmussen & Victoria Dekker began their careers in East Africa trading in spices between Zanzibar (Pemba) and Indonesia in 1999. With 19 years of experience in East Africa and becoming experts in managing trade barriers faced by all businesses in Africa.